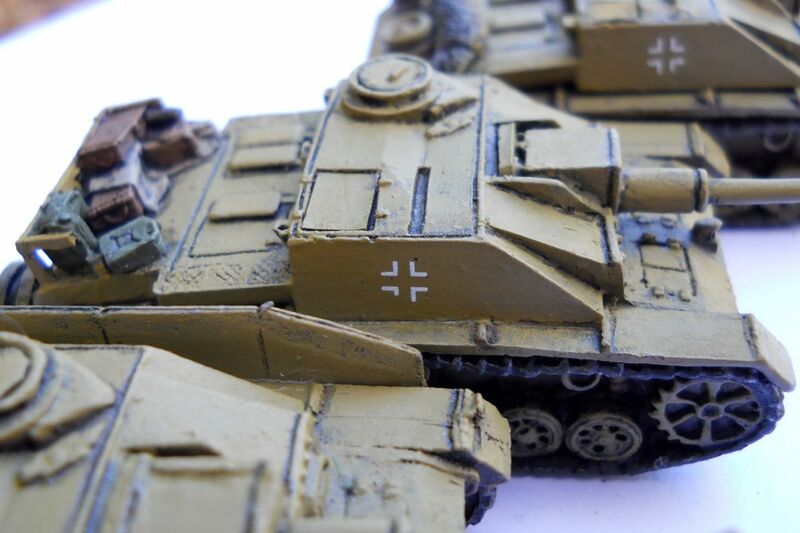 Painting techniques are pretty much the same when using water soluble oil paints to replace your regular oils, with a few minor adjustments. You're probably saying; "Then why would I choose to use the water soluble ones when I love how the regular oils respond?" Well, some of us artists have breathing problems and cannot tolerate the fumes from the turpenoid or odorless thinners you to use to thin the paint and clean up afterward. Even with switching to water-miscible oils, there are still some problems with people sensitive to things such as linseed oil and alkyds like I am, so you have to test it out for yourself. 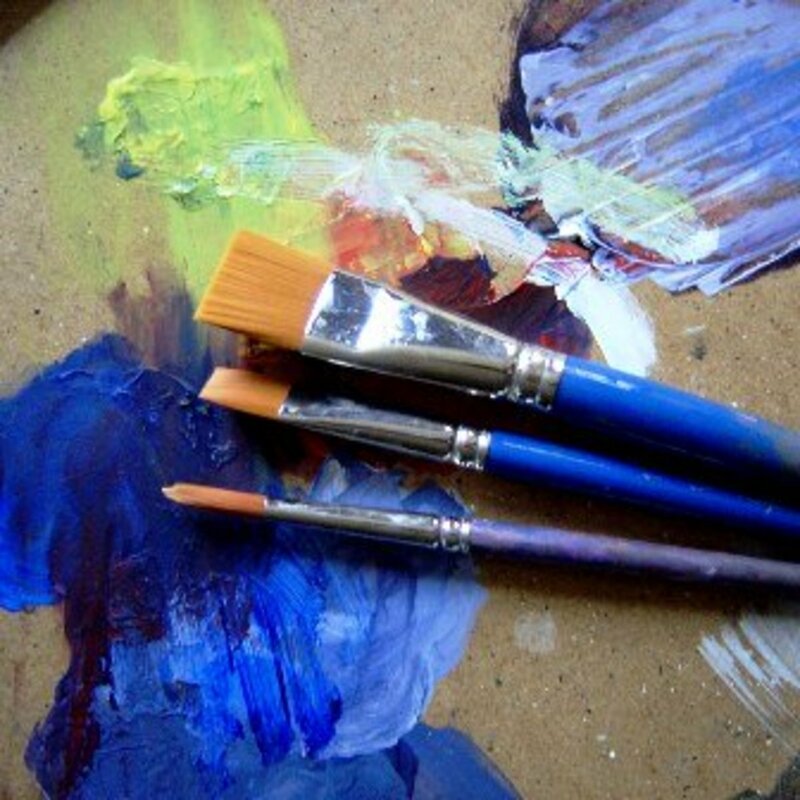 You have several alternatives; switch your medium to acrylics, pastels or watercolors. Or, if you want to stick with your favorite oils, then the water soluble oils are a great alternative. These paints are called by several different names which makes it a little confusing, but they are all really the same thing. The manufacturers tell you that you can thin the paints with water, and this is true. But, what they don't tell you with some brands is that the paints are very tacky when you only try to thin them just a little bit. If you thin them a lot to make a wash, the water works very well, but not if you are thinning it only a little to blend things such as in a sky. Windsor Newton has a thinner for their water-soluble Artisan brand which I have just started using. So far, I like it better than using water, it works well with other brands of paint, and It doesn't seem to bother my breathing. For fatter layers as you progress in the painting, you should use the water-mixable linseed oil if you plan to thin a little bit. The only thing I found was that there was still the smell of the linseed oil, and you have to use quite a bit of it to get the fluid effect you are looking for. That tends to slow down the drying process more than usual. In both cases, I have used the term, "thin" whether it be with water, thinner or oil. Further down in this discussion I will talk about the "fat over lean rule" and clarify what is really happening when you add something to make the paint more fluid. A friend told me about using walnut oil to make the water-soluble oils flow more easily. 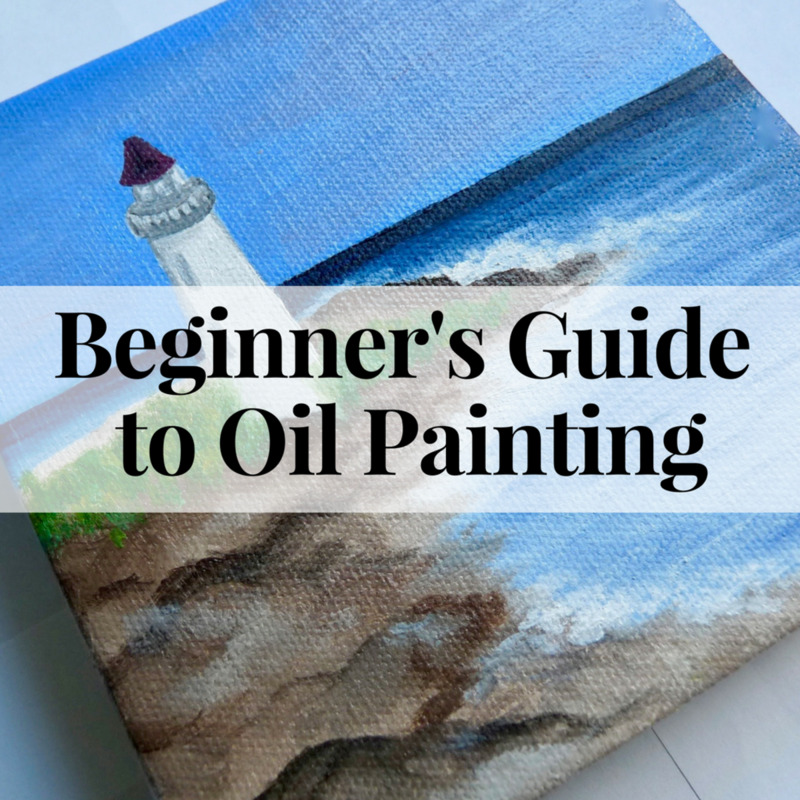 With this oil, the paints flows just as smoothly as regular oils, There is no stickiness when I try to blend it. In addition, there are no fumes from linseed oil, traditional thinners or turpenoid. I can still wash everything up with soap and water. I am painting without any of the negatives of messy cleanups and fumes that constrict my breathing. I have also found that I only need a very small amount of the walnut oil to make the paint flow easily. Using the water-miscible linseed oil requires a lot more to get past the stickiness before the paint will flow easily. Additionally, I am sensitive to linseed oil even when it has been modified to use with water-soluble oils. Replacing the linseed oil with the walnut oil has definitely helped me. Just like painting with traditional oils, you must still abide by the "Fat over Lean Rule". This means that, if you add more oil to a paint to "thin" it down, it has actually becomes fatter so you must consider what you are applying it over. With water soluble oils, you can 'thin' with water or water-soluble thinner. This makes the paint leaner since there is no fat in water or thinner. Thinning it this way, is best used for under painting and early thin layers where it will dry fast. Since it is lean, you can paint over it without so much concern. The Windsor Newton Artisan water-mixable-oil thinner works really well instead of water. As with water, it also makes the paint leaner and is best used in the early layers. I never use water at all. 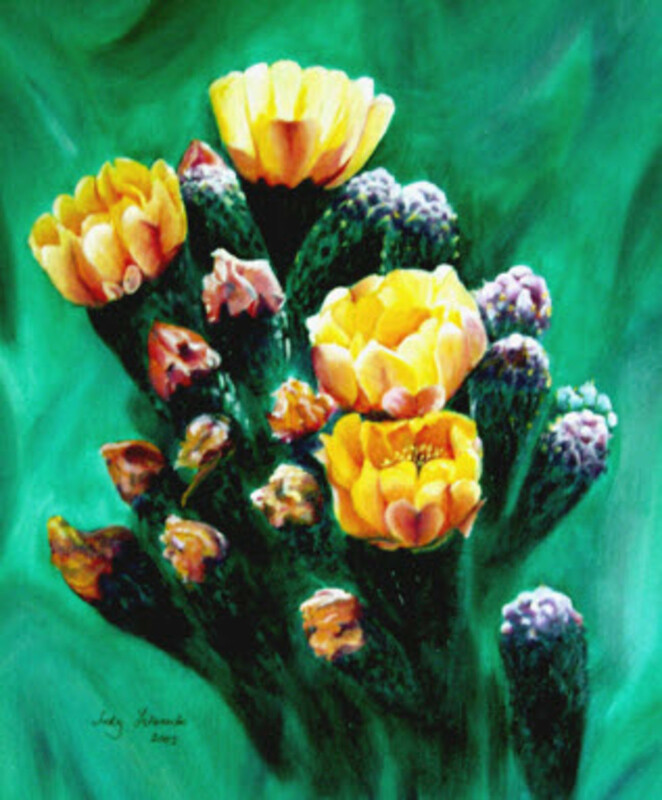 A common question asked is if you can paint over a dry oil painting with acrylic paints? The answer is "No." Even though these are water soluble oils, they still contain oil. Just as water would bead up on an oily surface such as a waxed table, so will acrylics bead up on oil paintings. Can you paint over a dried oil painting with water soluble oils? "No Problem." You are maintaining the Fat over Lean Rule by doing so, but you should put a thin film of walnut oil over the area to help adherence of the new paint layer and make it go one smoother. If you are not sure, do a small test on a sample painting first before you chance ruining the one you want to work on. Can you paint oil over acrylics? "Absolutely." If you use acrylic paints for your background and want to paint with oils over parts of it, it is recommended that you put a very thin layer of the oil you use over the entire canvas. Wipe any excess off with a clean cloth but maintain the glaze. This thin oil film will act as a binding agent for better adherence of the water soluble oil to the acrylic under painting. If you are looking to speed up the drying time of your paintings, there are Fast Drying Mediums which work well. I have used Windsor Newton Artisan Brand fast drying medium. The earlier version of it tended to be very thick and hard to work with, but my understanding is that it has improved. Lukas Berlin makes a fast drying medium which is watery and tends to dry very fast. It is also very lean so you have to be careful about trying to follow the fat over lean rule. It is a good choice for under painting since it is lean. The Windsor Newton Artisan brand contains oil so it is fatter. They state that the drying time is decreased by 50% when using their medium. This would be a good choice for layered painting over the under painting since it is lean. You must be careful when using any fast drying medium that it is only used over completely dried layers or you may get some cracking of the paint. It is best to use it in the early layers only. 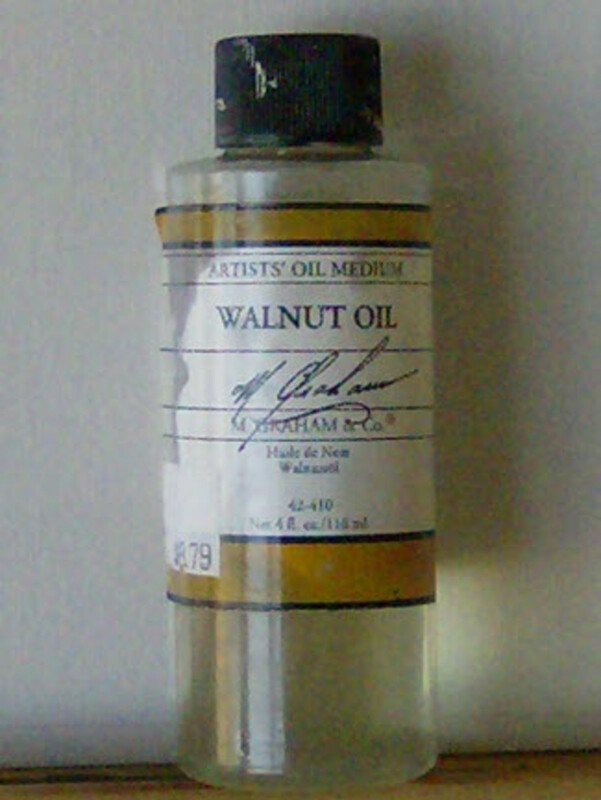 My choice has been to use Walnut Alkyd by M. Graham which is made from walnut oil and alkyd. Very small amounts make the paints blend easily and are "touch dry" within a day so you can put on another layer of fatter paint. If you do not paint over the fast-dry layer, it will have a fine gloss finish which I really like. For people with breathing problems, you may have a reaction to the Alkyd so test it out carefully. I find that if I use walnut alkyd over a period of days, indoors, I tend to start wheezing. My solution has been to paint outdoors with it when ever possible, to limit my exposure. David Clemons shared this information on the forum I am active in. He is very knowledgeable in many technical areas so I would recommend that you take a look at his website. "To make an egg yolk & oil medium mix equal parts yolk, oil, and water. Break the yolk membrane in a bowl as though making tempera, slowly add the same amount of oil to the yolk while stirring, and then add that same amount of water and stir. Store this in the fridge, or if you want to keep it for longer than a few days add a few drops of white vinegar or a couple drops of clove oil. All these mediums are water soluble and also speed up the drying time." We all tend to have our own preference but I will explain some of the choices I have been told about or tried for myself. I use a mixture of brushes. Winsor Newton makes a fantastic brush called the Eclipse that I have absolutely fallen in love with. It is natural hair made from Russian Black Sable. They describe it as being a "perfect balance between stiff and soft hair...more body than red sable and softer than hog bristle." I'm really pleased with it because it holds a good chisel edge, blends without brush lines and keeps its shape after cleans up with soap and water. 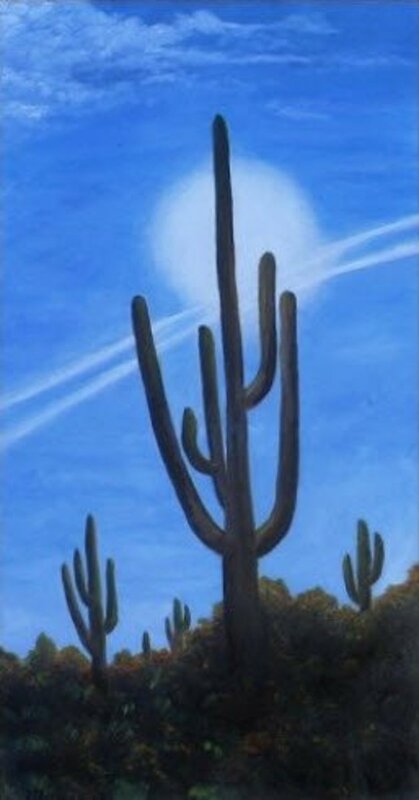 I like bristle brushes for laying down large areas of color that will be smoothed down later, such as the sky. They are also good for high-texture areas such as foliage and for dabbing in tree leaves. They load with paint well and flare out to produce some very effective leaf patterns. They are also good for adding texture to the foreground of landscapes. I load them with multiple colors and then hold the brush vertically while tapping on the canvas to do this. I have heard people who are use to regular oils state that they feel the bristle brushes become "mushy." This can be avoided by not using water except for cleaning. Use warm soap and water but do not leave the brush standing in the water. Dry it immediately and place it on it's side to continue drying. There are some synthetic bristle brushes which I have used and been satisfied with. They tend to be a little less expensive than real bristle and work just as well. I like synthetic brushes for smoother area. They don't leave the brush ridges as much as the bristle brushes unless you want them there. They wash up well with soap and water and are not so sensitive to standing in water briefly as you clean a bunch of them. The one thing I did find was that paint builds up in the brush causing the hairs to splay out once dried. When I first started using the WS oils, it didn't dawn on me that I was getting paint build up. Those brushes that had that happen, however, do come in very handy because of the fact that he bristles fan out so much that they can be used to dab texture and color in without big blobs of paint. To avoid this from happening, I add a little extra walnut oil to the brush before cleaning and work the paint out. Then I clean with warm soap and water. I actually use a commercial brush cleaner for the soapy part because it also conditions the brush after wards. One women said she uses baby oil to do the same thing with good results. Water-soluble oils are becoming more widely used as a replacement for traditional oils. They work very similarly to traditional oils but are better tolerated by people with allergy and breathing problems. They do take some time to get use to because they handle slightly differently in certain situations, but are well worth the time to experience them. I used Sean Dye's book as my learning tool when I started using water-soluble oils quite a few years ago. At that time, that was the only book available on the subject. Now there is a wider selection available which I'm sure will increase as the popularity of water-soluble oils continues to grow. The book, "No Experience Required" is a good learning tool for the complete novice. It goes into a lot of basics. It also has paint-along chapters to help you develop your skills. 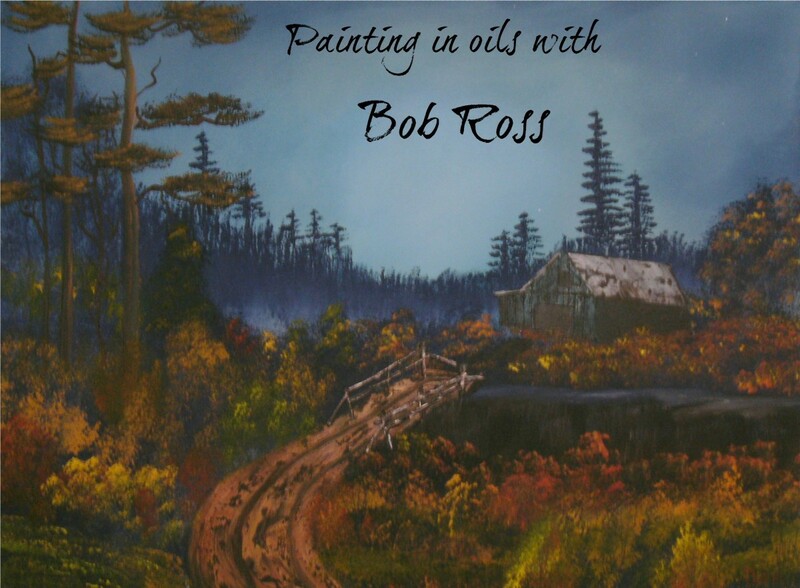 Interact with Artists using Water-Soluble Oils. Hello - I think I have a more unusual reason for wanting to paint in oils on paper. I do woodcut prints, and I've been playing around with oil pastels. I use oil-based ink to print my woodcut - and then I've been applying oil pastels over the print once it's dry (cured). The oil-based ink I use to print my woodcuts is able to be cleaned up with water and detergent. I use Walnut oil to blend the oil pastels after applying the colors to the paper. I really like the effect so far. Then I did further research and according to articles I read, I need to prime the paper first (with gesso or acrylic matte medium) before printing my woodcut, and then apply the oil pastels. The paper will degrade if I don't prime it. And I really do use quite a bit of Walnut oil too, as I like to get a more "washed" effect (like watercolor), when using the oil pastels, and since it is a woodcut print, after all. Any comments or further tips/advice are welcome. Thanks. Thank you for all of this info! I'm just starting to try getting into oils. I find the fat-over-lean rule very intimidating and confusing when I'm actually in the creative process. 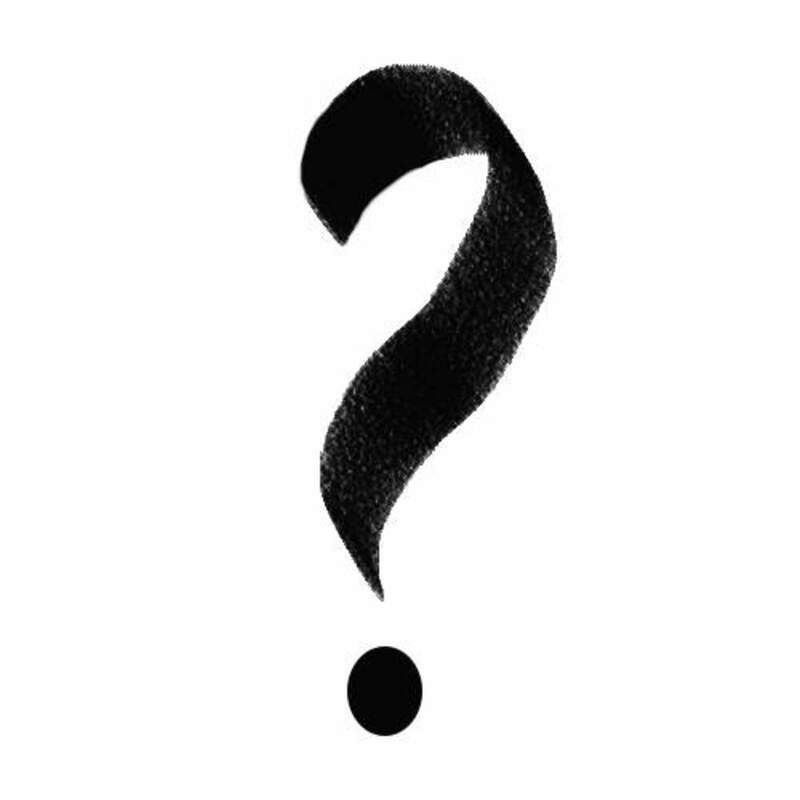 But another question I have is, how do you clean your brushes in between colors using water (coming from an acrylic background) or do you NOT clean your brushes inverts colors, just wipe? Another blog said water during painting would make the paint look cloudy so I'm wondering how I should clean my brushes if that's the case? Thank you! 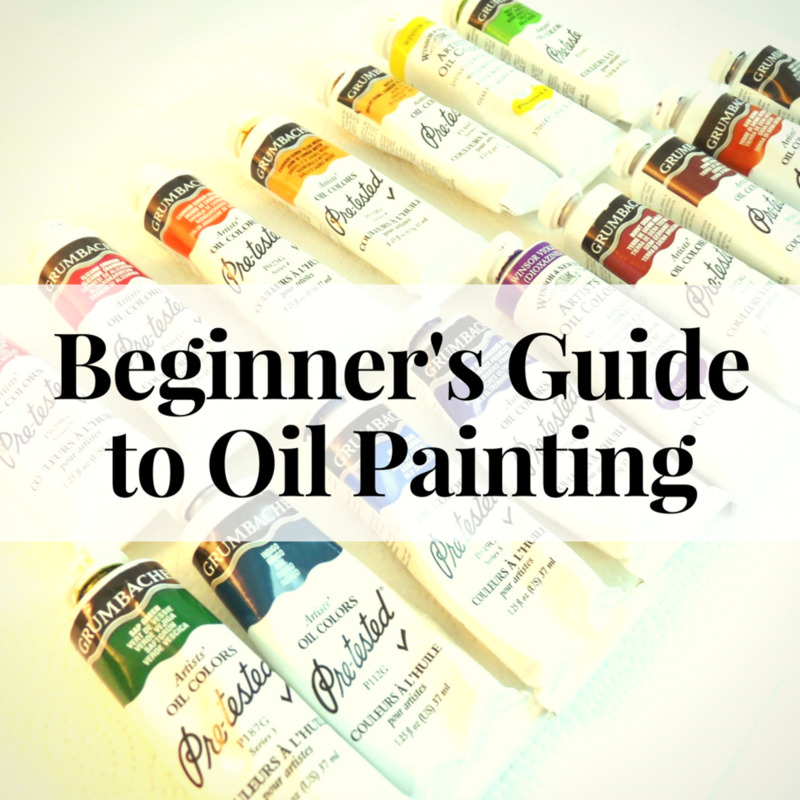 Best blog I have read about water soluble oil paints! Thank you. Sorry I have taken so long to respond, but have been traveling with limited internet access. WSO's work very well wet on wet just like traditional oils. Yes, you can apply a thin coat of WM linseed oil and apply directly from the tube if that is your style of painting. A landsacape done with WSO is comparable to one done with tradition oils. It is not recommended that you use WSO over a tradition oil paint, since the WSO would beed up just as if you had put a drop of water on the traditional oil. These WOils...do they fit into the wet on wet type of painting? Can I apply a thin layer of water mixable linseed oil to canvas and then apply WOils directly from tubes like we do in regular oil painting? Can landscape paintings using WOils be comparable to landscapes using regular oils? Please elucidate. Thanks. These are all so beautiful! I'll have to give it a try, though I'm sure the results wont look anything like the pictures you've displayed here! Nice study into this medium. I still like the normal oils and will probably not switch as I have too much invested in them. Great to hear the views of others. Well done. @Pat Goltz: Me too! I had a lot of fun chasing the roadrunner back and forth across the street in front of my house to get hi to put his tail up for a reference photo. @Pat Goltz: I had a lot of fun chasing that roadrunner across the road to get him to put his tail up for me so I could get a reference photo. 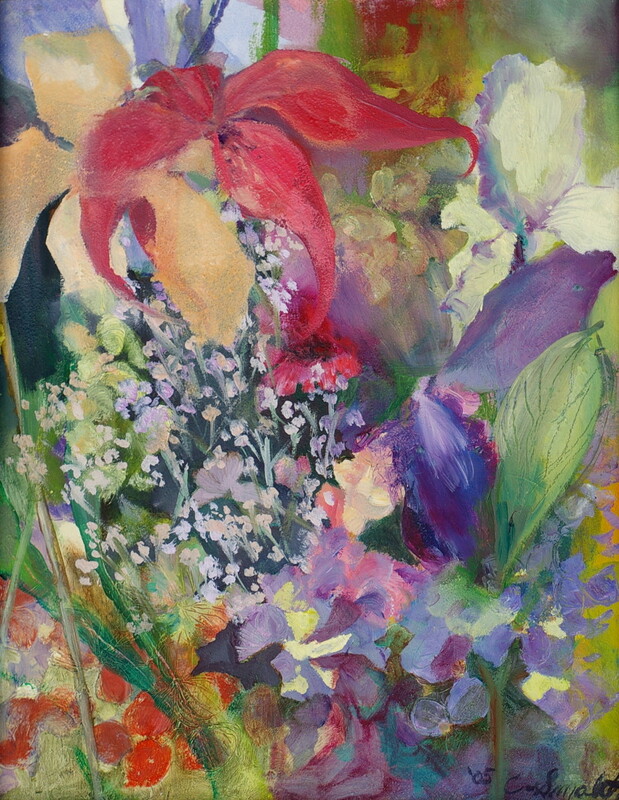 @Mary Stephenson: The water-soluble oils are very similar in feel to the oils but don't have the amount of linseed oil and clean up with soap and water so that really helps. The only I found was that I had to stay away from quick drying mediums with alkyd in them. I'm doing all of my painting these day with Corel Painter 12 so I have no allergic reactions, no clean up and no supplies to buy. I paint with all my traditional techniques and love it. If you didn't see the demo I did in my Lens, "Painting Clouds," you might want to take a look. Great information. I had to reluctantly give up oils a number of years ago. I got ill when using them only for 20 minutes even with windows and doors open. But I did get to paint a great cat portrait of 3 of my cats on an easy chair on a sunny afternoon. 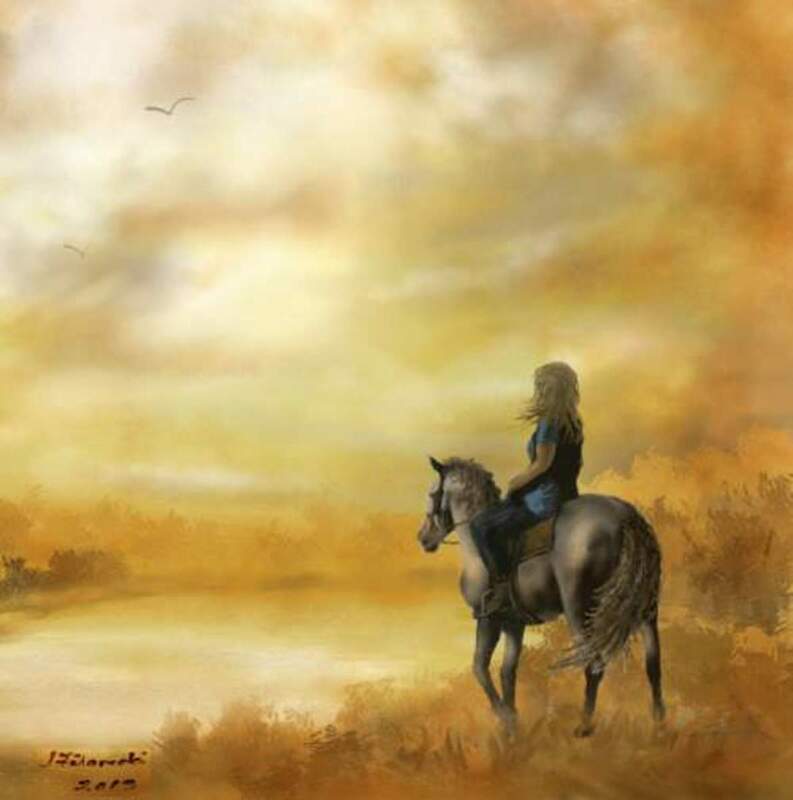 Gone to acrylics and Photoshop for my creations now. Nothing is quite as good to work with as the flow of oil paint. Information that would be extremely helpful that wants to learn what to paint with. 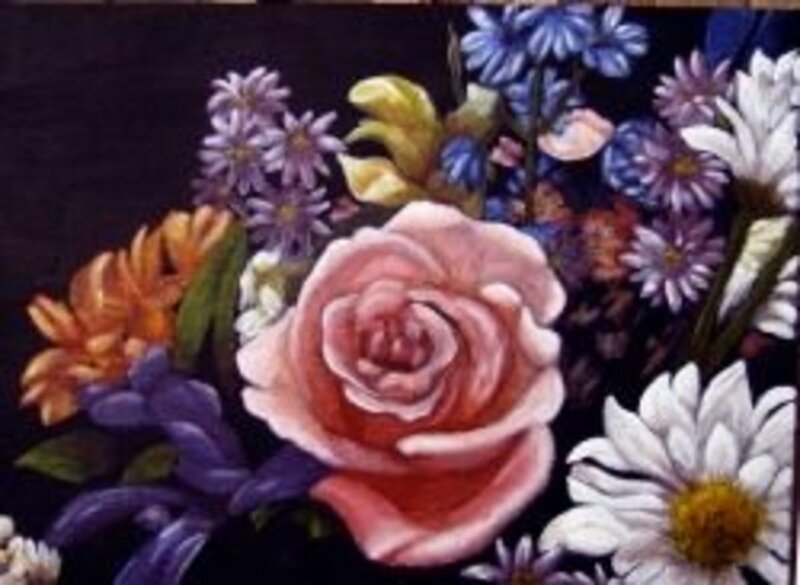 the flower painting looks like a dream, a very beautiful dream. Wow!!! 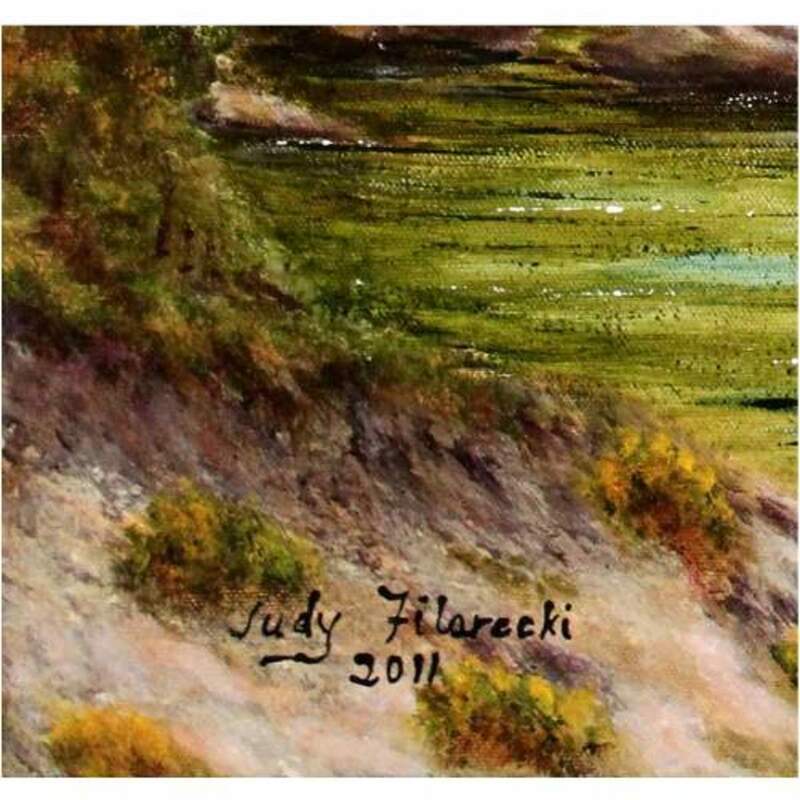 That is wonderful and amazing..
Judy, your paintings are beautiful and your instructions are very helpful! Thank you for sharing! Happy Holidays! Oh dear, painting is complicated! Fantastic lens, but I am so discouraged about this whole painting malarkey. Very good information. Thanks for sharing! The work must be appreciated. Beautiful work. Shows how little I know. I didn't even know they had water soluble oils. Wow I did not know all that awesome stuff, thanks. An informative lens, and beautiful art! Judy, what an informative and beautiful lens. I would like to add this lens to my lens .. 'Squidoo Artists and Their Art'. Please drop by. 6 years ago from Devon, United Kingdom. Go Judy! Great lens on this topic. @SteveKaye: Thanks Steve, All my first painting attempts were of birds in their natural setting so I rally enjoyed your lens on birds. Your paintings are absolutely fantastic. Your ability to capture the beauty in the subjects is amazing. Thank you for publishing this. @anonymous: Thank you, Collette. I'm enjoying WS oils more and more as I experiment with them. @desa999 lm: Thank you so much. I love watercolor also, but am not very skilled at it. It is on my list of to-do's. Nice content with a use of paint I hadn't seen before. I am more familiar with watercolour but I love the effects you are referring to. Well done. @Johanna Eisler: Thanks so much. I hope it gave you some alternative ideas for painting. Also thanks for the congrats for making it to the front page. It is exciting and really brings a lot morepeople to you lens. 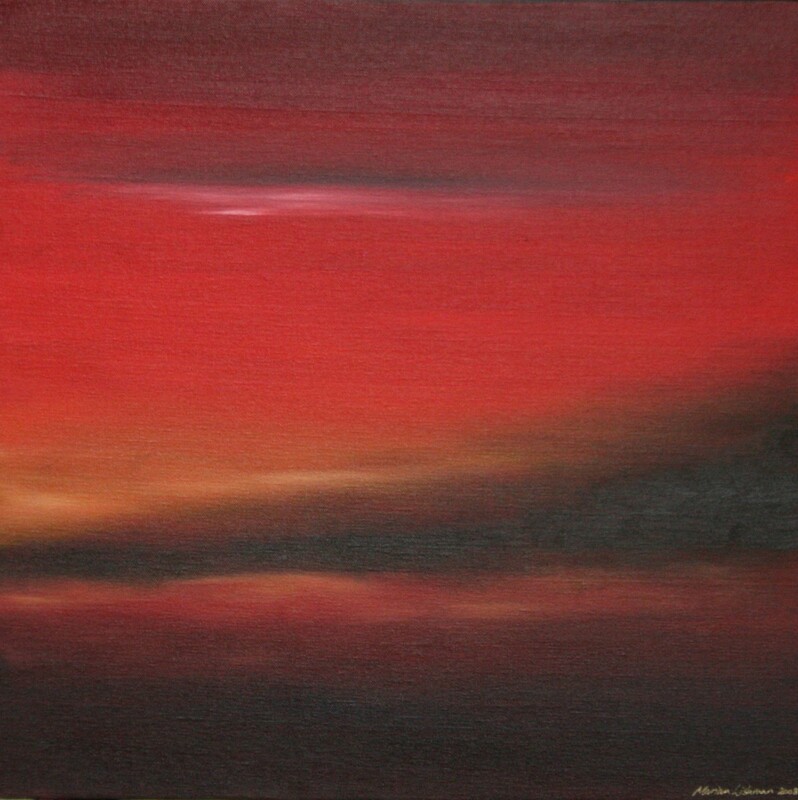 @Dimplefree: Once you start putting the paint on the canvas, you'll quickly stop missing the fumes. Holbein Duos have been my favorite for having the feel of traditional oils. Windsor Newtons tend to be stiff, but flow well with a little W/N thinner for early layers or walnut oil for later layers. Cobras have a real good feel also. Very interesting, I've never had a problem with the fumes but it sure fills the house! Everyone knows when I'm painting. I might have to try these water soluble paints. But there's something about the smell of oil paints and turpentine, I think I'd miss it. Thank you for a very enlightening lens. I'm bookmarking it, because I love to paint but have problems with scents. And congratulations on making the front page! @Judy Filarecki: That's great to know, thank you Judy! @anonymous: Glad you enjoyed the lens. Hope you both give them a try. I have actually heard about these before, but I only just realized that my friend who works with regular oil paint could give these a try as well. I'll be sure to pass on the information in this great lens to her. Thank you for creating this lens! @waterlily78: I'm sure the sunflower seed oil would work fine. I've never tried it because I am so satisfied with the walnut oil. It would be worth getting one tube of WS Oils and trying it. The WS oils can be mixed with traditional oils if you decide to stay with the traditional ones. It just would not be water soluble anymore. Good tutorial, I'd never heard of the water-soluble oils until now. They sound like something to look into, as I love working in oils but hate the smell of turpentine (it tends to give me a headache also). I usually use sunflower seed oil to thin my paints, I wonder how it would work with the water-soluble paints? @LiteraryMind: You are welcomed. It has been a life saver for me. It is the only thing that doesn't trigger my allergies. Thank you so much for the informaiton. The walnut oil idea is an eye opener. @anonymous: Thanks so much for the blessing. It is always appreciated. A wealth of knowledge. Blessed! @MariaMontgomery: Thanks so much. I love watercolors also but I enjoy not having to frame my paintings under glass with the water-soluble oils. I hope you try them sometime and if you do, don't forget to check out the WSO forum I have included a link to. I love your lens on Aqua Oils, and will definitely try the walnut oils. Right now I do mostly watercolors, and love them, too, but sometimes miss the oils. I, too, had to abandon traditional oils due to headaches from the fumes. Thanks for a great lens. @chezchazz: Thank you for the blessing and for considering my lens for "wing-ing it on Squidoo. I really appreciate it. I look forward to perhaps someday becoming a Squid Angel so I can returnthe favor to others. Water soluable oil paints sound like a perfect (and safer) solution for those of us bothered by chemicals and fumes. Blessed on the Squid Angels Epic Back To School Bus Trip Quest. Your lens will be featured on âWing-ing it on Squidoo,â our lensography of some of the best Squidoo has to offer, as soon as the quest has been completed. Very informative and beautiful paintings. @dfishbac: Thanks for your comment. I am constantly learning new things about it and try to share as many of them as I can. Very nice lens!. I learned something new about water soluble oil paints. @sukkran trichy: Thank you for your blessing. Great Lens Judy, I'm going to add a link in my Outstanding Zazzle Artists Lens. Thank you so much for your visit and support for my Photographers Lens, truly appreciated! @anonymous: I enjoy teaching and sharing things as learn myself. It just adds to the exciting of accomplishing new things. Excellent tip on oil painting techniques. I like how you share as you learn new things, as with the walnut oil, that's very generous of you. @livelong29: Sorry for being so long in responding. Thinning with water does create a good wash but do not use so much water that it run. If you want to do a water-color effect, place the canvas on a surface so it is elevated no more than 15 degrees. This will allow the wash to settle in place with just a small wet edge at the bottom. You can use this edge to add another color so they blend into a soft edge. If you don't want to go beyond the wet edge, then blot the edge with a clean brush which will pick up the extra accumulation of the wash. I use a minuscule amount of walnut oil to make the paint flow better for details. I clean by first removing the excess paint with a paper towel, wash it with dish soap such as Dawn, rinse it real well and the do the final cleaning and conditioning with "The Master's Brush Cleaner and Preserver." Thank you for the tips on water soluble oils. I have been having a difficult time. If use just water to thin, it's too thin and runs down on a vertical canvas. If I use the Artisan water/oil medium, it's too thick for details and dries too quickly, and any water from my brush changes the paint into the consistency of Vaseline. What do you use to clean your brushes while you are painting? Which brand is your favorite? I have Pelikan, but there are Holbein, and Windsor and Newton. Thank you sooooo much, this is really helpful. Thanks for all the info, Judy. I tried the water soluble oils and didn't like their stickiness. Will try some of your suggestions and see if I like them better.